We are proud to say that Lice Clinics of America currently offers the only FDA-cleared lice treatment that is over 99% effective. The device, known as the AirAlle treatment, was developed by scientists to use dehydration in drying out head lice and their nits in a single, 90 minutes treatment. Lice Clinics of American can give you HOPE! We offer answers for head lice sufferers. This treatment has been used to safely and effectively treat thousands of patients across the world. Don’t take our word for it! Check out the many reviews on our website of parents who have found hope through Lice Clinics of America. There have also been multiple studies done that show the effectiveness of this treatment through the Pediatric Journal and other medical research. With over 350 clinics open across the world, the AirAlle treatment is literally changing the way people fight head lice. What does FDA approval mean for me? Beware of false counterfeits who claim to use dehydration to remove head lice! The important distinction of FDA clearance means that the AirAlle product has been carefully screened, tested and approved to use as a safe and healthy approach. Other treatments may claim to offer the same results, yet are nowhere near the quality and professionalism of the AirAlle lice treatment device. Our system is scientifically proven to work. It has been tested by the FDA and proven to provide healthy, non-toxic solutions to head lice sufferers. Why should I trust Lice Clinics of America? We are the head lice experts. At Lice Clinics of America, we treat head lice with a science-based heated air technology that is chemical-free and completely safe. Our products, backed by the FDA, put science to work in your favor in ridding your family of head lice. Our technicians care about your family. We want to help you get through this difficult scenario with as little frustration as possible. Our professional staff understands the risks of over the counter head lice treatments, home remedies, and the negative results that can come of them. We can talk you through the best, proven treatments that actually work! Not to mention, we have helped thousands of families safely eliminate head lice. Don’t wait another day! Call Lice Clinics of America today to schedule your visit. What Came First: The Head Lice or the Egg? 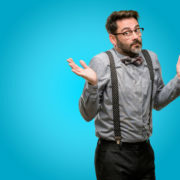 When you find your family has been hit with head lice you might ask yourself one simple question. What came first, the head lice or the egg? The answer is pretty simple. The louse. To fully get a grasp on what is happening you need to understand the life cycle of head lice. The adult female louse is capable of laying about 6-10 eggs per days. Head lice need a warm, human host to live and thrive. They are always looking for a new head to call home. Head lice do not jump, hop or fly. They crawl using clawlike feet from hair strand to hair strand. They are incapable of crawling on flat surfaces. Consequently, they are most often contracted through direct head to head contact with someone else who is carrying head lice. Children between the ages of 6-14 are most often more at risk than adults. However, if a child in your home has head lice you are also highly likely to catch it. Once a new human host is found, the female goes to work laying her eggs in the new, humid and ripe environment. An average louse lives for 30 days from nit stage to death. A nymph reaches adulthood after 8 days. Within 10 hours of adulthood, most females are already mating and laying eggs. For this reason, you can see how quickly one louse can turn into a whole scalp full of head lice. Females lay their eggs very near the scalp. Their body naturally produces a secretion that cements the eggs onto a single hair strand. This protects it from flaking off as a piece of skin or dandruff would. Nits are oval in shape and change from yellow to white in color after they hatch. Once an egg is laid it will generally hatch within 8-10 days. Nits are virtually impossible to kill with over the counter shampoos. They need to be nitpicked off of the scalp to really prevent reinfection. Using a nitpicking comb, parents can sift through the child’s scalp and peel off the unhatched eggs to remove them. This process can be extremely tedious but is very important in getting rid of the problem. Instead of incessantly picking through your child’s hair in hopes that you pull out every single nit, consider a better option. Lice Clinics of America offers a new, effective process that will dehydrate head lice AND their eggs in a single 90 minutes treatment. AirAllé® (pronounced air-a-lay) is an FDA-cleared medical device that kills head lice and 99.2 percent of lice eggs. We offer you the BEST approaches to eliminating head lice quickly and ensure that our products will work. Don’t wait any longer! Come into our clinic today to end your head lice problem. Head lice are a human parasite that is indeed highly contagious. Here at Lice Clinics of America one of the most frustrating scenarios we see is parents that finally come to us because they simply cannot get rid of head lice. Their child may have brought it into the home from school or daycare and the problem seems to never go away, no matter how many store-bought treatments they use. Over and over again this is a common problem. Why Can’t People Get Rid of Head Lice? Simply put, because head lice are so contagious, often people have a difficult time eliminating them when trying to use over the counter home treatments. This could be because they neglect to screen every household member for head lice. This means that it continues to get passed on from one person to another. Checking every member, even adults is crucial to making sure it’s gone for good. Talk to your kid’s friends parents. Sometimes your child could be getting reinfected from the original source without you realizing it. If you don’t find out where the head lice came from, the chance of reinfection is a definite possibility. Keep in mind, pets do not play a role in the transfer of head lice. This is strictly a human parasite. Sometimes the problem is that parents neglect to properly clean the home, bedding and hair accessories that will still have traces of head lice or nits. If a child is treated with head lice, then lays in the same bed that is infected, the problem will continue to be a vicious cycle. The products you are using simply do not work. Commonly head lice are hard to eliminate because nits are still lingering behind. Even if every adult louse is killed on the scalp if nits are left that can hatch the problem just cycles through again. Head lice treatments from the store are not effective in killing head lice and their nits. Head lice can happen to anyone. This does not indicate that someone is dirty or unkempt. These parasites are problematic for children of all ages and social classes. It doesn’t matter where you live or how often you bathe. Short hair or long hair is not a factor unless of course, you have no hair at all! The point is, head lice are everywhere. Remind children to avoid head to head contact with classmates, friends, or anyone while they compete in sports, play at the gym or attend school. Even neighbors or cousins who could come into your home may be passing head lice onto your family. Make sure kids are not sharing combs, brushes, hats, scarves, hoodies, hair bows, hair clips, towels, helmets, or any other items that could have traces of nits or head lice. Teach kids not to lie on beds, pillows, bean bags, or blankets from other children who have had head lice recently. Every few days double check that each member of your family or anyone who has had close contact with head lice is not showing symptoms. Treat head lice quickly and clean all bedding or accessories that could be reinfecting family members. Head lice have been around for ages. In fact, since the beginning of our species men have been plagued with this parasite. Various cultures have experienced a significant impact from head lice. From the ancient Egyptians to the American cowboy, head lice have been bugging humans for centuries. How did they treat head lice back when Pharaohs ruled the land? What did those western cowboys do to find some relief? You may find out they are not so different from us when you dive into the history of head lice. Egyptian gods and goddesses have been intriguing historians for centuries as creatures of beauty and great power. We know now that recent archaeological findings prove lice impacted the Egyptian culture significantly. Mummified corpses once examined prove that intact head lice are still present on their scalp, some numbering over 400 head lice on a single scalp. It may seem like a fashion statement to some, but often Egyptian women, children and most often priests or royalty would shave their entire bodies to prevent lice. 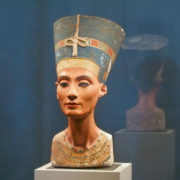 They would wear beautiful, elaborate hair pieces or wigs that were symbols of power and wealth. Who knew these fashion icons were actually just trying to be rid of head lice? The Dark Ages was a time of brutality, coldness and horrendous medical theories. Medieval men and women lived in close quarters, shared beds, owned limited pairs of clothing, and obviously had limited resources for proper personal hygiene methods. These circumstances and living conditions made it a time when lice plagued everyone, from the wealthy royal to the common peasant. Some folklore suggests that lard and oils were used to try and suffocate the lice and eggs. Another folk tale says that Lord and Ladies of old would wear fur vests and cloaks in hopes that the lice would prefer the lush fur and make their way into its warmth. However naive and idiotic that might seem to us, I’m sure they were willing to try anything to find some relief from head lice. The great American cowboy was no stranger to head lice. Especially as war, devastation, hard times and poverty became part of their lifestyle. Hospital wards, soldiers quarters and poor living conditions for families and soldiers made head lice a great problem in the Wild West. Among artifacts found from that time period are many bone-derived lice combs. These were small in length, only a few inches, and usually derived from buffalo or cow bone. When WW II soldiers were trapped in trenches and fighting for their life many diseases and human ailments were passed from soldier to soldier. Luckily by that time in history scientists had worked to develop pesticides that counteracted malaria-borne diseases carried from mosquitos. These same treatments were thought to work in killing lice and their nits, as well. Today we know that harsh chemicals are not the best approach. Thanks to modern science, over the counter shampoos and chemical treatments, are becoming a thing of the past. Treatment is still needed today for the nearly 12 million children who are infected with head lice each year in the U.S. The most innovative and effective treatment in history is now available to our generation. Treatment using the AirAllé device is available at Lice Clinics of America treatment centers. Now over 150 clinics are helping clients all over the United States and 100 more in other countries. For more information or to find some answers to your head lice problem contact Lice Clinics of America today. Head Lice Keep Coming Back to Bite You? Can’t Get Rid of Head Lice? There are a few common reasons that people continue to be plagued with head lice in their home. Are you one of those parents who has worked tirelessly with home remedies, over the counter shampoos, deep cleaning your home and nitpicking your child’s head only to realize a few weeks later – the problem has returned?! Here are some of the facts about head lice and why these methods just aren’t foolproof. -Kids are most likely to get head lice, but parents can catch it, too! The Centers for Disease Control and Prevention teach us that children between the ages of 3-10 are the most common victims of head lice. Why? 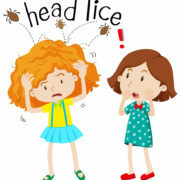 Head lice are passed most often through direct head to head contact. Children at preschool, kindergartens, elementary schools or just living and playing amongst other children are more likely to have direct head to head contact and pass along head lice. That can mean that they bring it home and give it to mom and dad as well! If you have not checked EVERY member of your household for head lice, you are likely going to continue to have a problem. Our clinic offers head lice checks if you are unsure what to look for. -Home remedies are NOT an effective, proven method against head lice and their eggs. Many mothers and fathers will go for the inexpensive, non-chemical methods such as essential oils, mayonnaise, vaseline or several other online ideas they can pick up from blogs. Unfortunately, these methods will do little in actually killing active head lice and especially their unhatched eggs from hatching in 7-9 days. Even if the suffocation methods kill the adults, in a few days time you will have a whole new generation of head lice pop up. These methods can also be dangerous, such a kerosene, or using plastic wrap on your child’s head. We do NOT recommend such ways to eliminate head lice and hope you will steer clear of these old wives tales. -Drugstore treatments have an active ingredient, pyrethrin, that does NOT kill head lice anymore. Over the years the overuse of these products has resulted in a new generation of head lice that show strong immunities to them. In fact, people often use the product more often than recommended on the bottle in a desperate attempt to get rid of their head lice problem. This has resulted in lice shampoo burning children’s eyes causing irritation, tearing, scratches to the eye and even blurry vision. When it is inhaled it can cause damage resulting in a runny nose, coughing, difficulty breathing, vomiting, and diarrhea, according to the National Pesticide Information Center. The most effective, proven treatment method against head lice is the AirAllé® medical device. This is an FDA-cleared head lice treatment that targets head lice AND their eggs using a dehydration method to kill active lice and prevent eggs from hatching. This process takes about 90 minutes and is painless and truly impactful. Lice Clinics of America has successfully helped hundreds of thousands of people eliminate their head lice worries in a single application. Our expert staff can perform head lice checks for your whole family, give you proper treatment advice and help you end the head lice nightmare. Call us today! Lice Clinics of America offers a new revolutionary treatment in head lice prevention. The AirAllé® Treatment is a product that uses the science behind dehydration to effectively kill head lice without harsh chemicals or fumes. Did you know, in 2015 the American Academy of Pediatrics changed their recommended procedures against head lice to include the use of our modern, amazing product? #1 – The AirAllé® Treatment contains no harsh chemicals or harmful fumes. In the 1990s new products were introduced to the market that used the active ingredient Pyrethrum to kill head lice. These over the counter shampoos and powders required three distinct treatments in order to properly work. Because of anxiety to get rid of head lice, some parents misuse the products resulting in rashes, burns, or sensitivity to the skin on the scalp. Often times this can even result in needing a pediatrician. Our treatment uses absolutely no harsh chemical and does not emit harsh fumes, making it much safer and environmentally friendly. The AirAllé® Treatment requires between 60-90 minutes from start to completion. The process uses a machine that directs mildly warm air onto the scalp, drastically eliminating moisture. This dehydrates the head lice and leaves the scalp virtually head lice free. This painless method proves no risk of burning, irritation and is done once and you are head lice free. Over the counter treatments explain right on the label that the product needs to be applied once, reapplied again 7-9 days later, and yet applied a third time 7-9 days after that to ensure all newly hatched eggs are killed as well. The AirAllé® Treatment guarantees that you will not need another treatment. Our method is over 99.9% effective at eliminating head lice and requires only the one sitting. Who wants to spend their time worrying about head lice weeks at a time? Not with the AirAllé® Treatment. We can get you in, out and on with life. Reports have been sweeping the country of super lice that show immunities to the active ingredient, pyrethrum, in over the counter head lice shampoos. In fact, in over 48 states there have been cases of super lice reported that prove to be unaffected by over the counter treatments that used to work. This may be because overuse of the products for years have caused head lice to develop a tolerance for it. The AirAllé® Treatment is completely effective against all types of head lice. Super lice are no match for the dehydration power of the AirAllé® device. This is clearly a better option than dealing with the headache of weeks of shampoos that won’t work anyway. What a lot of parents are discovering is that super lice or not, shampoos and powders do not kill the lice eggs, or nits present on the head. The AirAllé® device uses a motion of hot air to dehydrate head lice AND their eggs in a single, 60-90 minute application. This process is virtually painless, over 99.9% effective at killing both eggs and nits and leaves parents feeling instant relief from a head lice outbreak. Otherwise, over the counter products need three separate applications to kill any new nits that have hatched since the last application. The AirAllé® Treatment just makes sense for the sake of your child, your pocketbook, and your own sanity. Contact Lice Clinics of America today with any questions or concerns you may have about your head lice problem. We have helped hundreds of thousands of people eliminate head lice from their homes. Yes, head lice do bite. An adult louse will feed 5 to 6 times per day. The average person with a case of head lice is carrying 10-12 lice at a time. This averages over 50 head lice bites per day that person is infected. Obviously, this is assuming the problem is realized and taken care of fairly quickly. Infestations left untreated can be drastically worse as female lice lay up to 6 eggs per day. Lice eggs hatch every 7 days. You can see that head lice is a problem that can go from bad to worse in just a few short weeks. How Do Head Lice Bite? Lice have a mouth that acts as a tube with a suction cup on the end. They grab a hold of the skin on the scalp and push through small sharp teeth that penetrate the skin. As they feed, the skin is broken leaving red bumps and marks on the scalp. Lice eggs, or nits, are not yet hatched and therefore unable to bite. 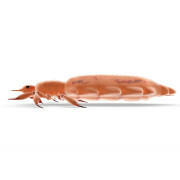 As soon as an egg hatches, the newborn nymph will actively start looking for its first meal. Nymphs will bite and fed on human blood the same as adult lice while they grow and mature into adulthood. 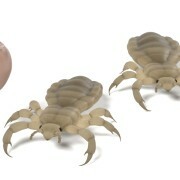 As head lice bite they leave broken skin and open sores. They can become dry and irritated resulting in itchiness. This is just one of the reasons. As a louse drinks human blood, they salivate a substance that prevents the blood from clotting as they eat. This saliva is spread over the skin of the host and causes significant allergic reactions. Ever wonder how lice move around? As lice crawl around from hair strand to hair strand on the scalp they use hook-like claws on the tip of their legs. This gives off a tickling or irritating feeling that can lead to itchiness. The combination of bites, saliva, and crawling make itching a major symptom in indicating a head lice infestation. My Child’s Scalp is Itchy? What do I do Now? The first thing we recommend is using a nit comb, or fine tooth comb to examine your child’s scalp. Pay special attention to behind the ears, near the base of the neck and the crown of the head. These are the areas head lice like to linger and lay their eggs most often. While examining look for yellowish, oval eggs that are very near the base of the scalp. They will not easily flake off as dandruff would, but will be peeled off only using the fine tooth comb. Watch for red irritated bumps or rashes. Live lice will scurry away quickly from direct light and may be difficult to spot. If you do see any small, sesame seed-sized brown bugs crawling on the hair you clearly have a case of head lice. Head lice are not something to take lightly. They are highly contagious especially to those living within a household and can multiply quickly. 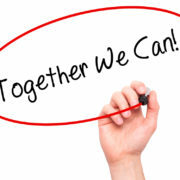 The professional staff at Lice Clinics of America have eliminated head lice for thousands of patients. We can help you accurately diagnose the problem, offer the most effective and safe treatments, and give you the assurance that our procedure is guaranteed to work. In fact, the process we use is the only FDA cleared lice treatment device that is proven over 99% effective. Call our clinic today to speak with a trusted staff member about your concerns. Did You Know Lice Live for 30 Days? Ever wonder what life is actually like for a louse? Lice live only 30 days from the nit stage to adulthood. Though their lifespan may not be very long, they can certainly wreak havoc without any problem. Understanding the life cycle of head lice can help you in determining which treatment will be most effective. Eggs – Male lice seek copulation with adult females. They begin reproducing within the first ten hours of reaching adulthood. 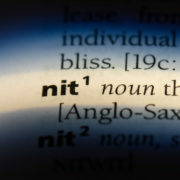 Nits, or lice eggs, are very difficult to see with the naked eye. They are approximately 0.8 mm by 0.3 mm in size, oval in shape and yellowish white in color. They are often confused with dandruff or flakes from hair products. Eggs must be laid very close to the scalp in order for them to receive enough moisture and heat to survive. Once laid, a nit takes 7 to 9 days to hatch. Nymphs – Once an egg hatches, a nymph emerges. The eggshell casing becomes darker in color and will continue to stick to the hair strand. In fact, these empty eggs can take 6 months or longer to disintegrate. If you find this casing ¼ of an inch from the scalp it is a clear indication that you have a head lice problem. The infant stage of a louse only lasts about a week. They will molt three separate times as their body grows to an adult louse. Adult Louse – Once fully grown, a louse will measure about 2.5–3 mm long. Generally about the size of a sesame seed. They are dark brown or yellowish gray in color, often interestingly enough, depending on the hair color of their host. This is because their bodies are actually more transparent in color. As they drink blood, they also turn more reddish in color. They do not have wings and crawl about to feed on the scalp. They crawl by using claws that are attached to each of their 6 legs. Adult lice must feed multiple times per day on human blood to stay alive. If they fall off of a host and do not have blood supply for more than 1-2 days they will die. A female louse is actually a little larger than the males. Lice live only 30 days from nit stage to adulthood. Several factors play a role in who catches head lice. The CDC indicates that children between the ages of 3 to 11 are most likely to become infested with head lice. It is estimated that between 6 and 12 million young children will catch a case of head lice in the United States each year. The more children living within a family the more likely they are to spread it within a household. Children who share beds or closets are also more prone to head lice. Little girls are four times as likely to become infested with head lice because they wear their hair long and often free-flowing. African American children have the lowest risk of catching lice as their hair is not as easily grasped by the claw of a louse due to its shape and width.